Great set! So cool that you got Fever! I really liked Wither. New follower! 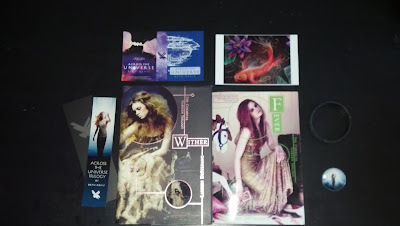 I STILL haven't read Wither (I think I may be one of the very few on this planet that hasn't!) Nice books! *New Follower* You got some great suff this week!! Congrats and happy reading! Love Wither and Fever. Hope you enjoy them! I feel bad because I haven't read Wither or Across the Universe yet.. So cool that you got signed copies of Wither and Fever! Wow, great week for you! I loved Wither so I can't wait to get to Fever :) New follower. I'm dying to read Fever! Can't wait to hear what you think of it. 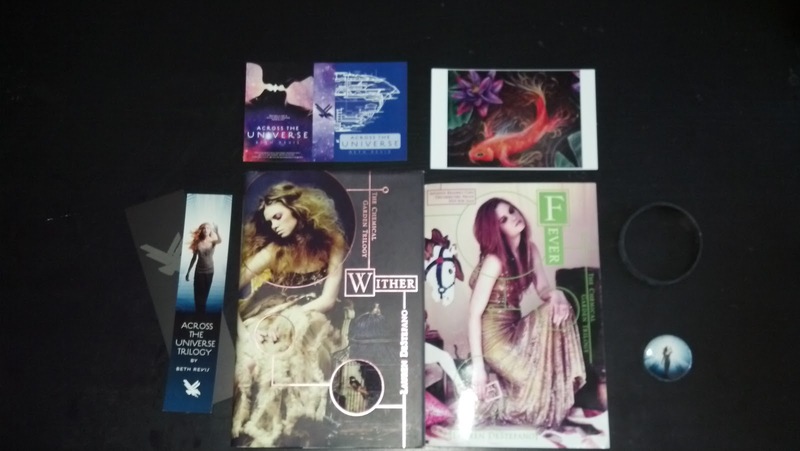 Awesome books and swag this week and happy reading! For everyone that keeps saying I Need to read Wither, I think I am going to be doing a Valentines giveaway of my old hardback copy since I have two now ^_^ Make sure to check back in February!